Got a Visa Signature credit card? 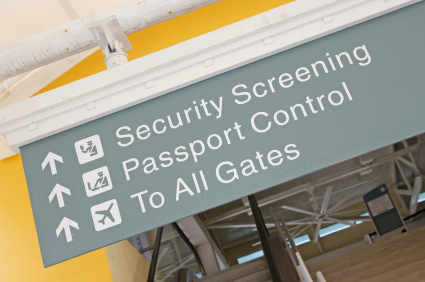 If so, you can now receive the first six months of membership in the CLEAR expedited airport screening program for free and a $60 discount off the normal $179 annual fee when renewing. CLEAR allows registered travelers to use their cards at airport kiosks to bypass lines for security screening. So far, CLEAR cards may only be used at the following airports: Dallas-Ft. Worth, Denver, Orlando, San Francisco, and Westchester. Visa Signature cards are standard issue for a wide range of travel-rewards cards, including Bank of America’s Alaska Airlines and Hawaiian Airlines cards, the British Airways Visa, Capital One Venture, Chase’s Sapphire and Sapphire Preferred cards, Citi AAdvantage Visa Signature, Citi Hilton HHonors and HHonors Reserve, the Hyatt card, the Marriott Rewards and Marriott Rewards Premier cards, the Southwest Plus card, and US Bank FlexPerks. In principle, the CLEAR concept is appealing. Who wouldn’t like to spend less time clearing security? But with just five airports currently online, it’s more of a novelty than a reliable fact of travel life. And the pace at which new airports are added to the network has been agonizingly slow—a year ago, there were three; now there are five. That doesn’t bode well for rapid expansion in the future. I’d invest the time required to sign up for CLEAR if I regularly flew out of one of the participating airports. Otherwise, this new perk has no value.